It’s the home stretch! 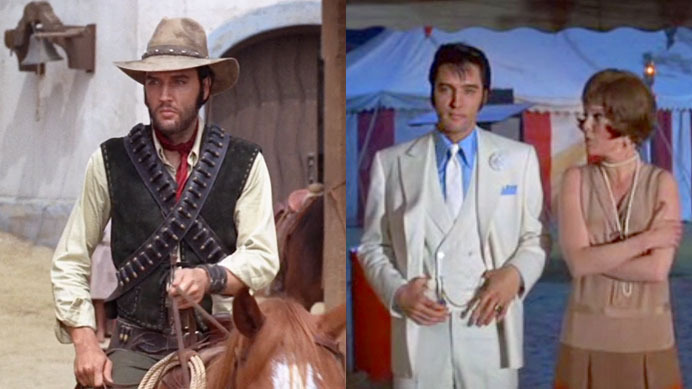 After this post, I have only ONE Elvis movie left to go! I’ve thus far neglected to really delve into the historical backdrop for these films—however, it is now 1969, and boy have we come a long way. When Elvis’ first film came out in 1956, he was a mere 21 years old and had just debuted his “Hound Dog/ Don’t Be Cruel” single. Elsewhere in 1956, Norma Jean changed her name to Marilyn Monroe, Eisenhower got his second term, Grace Kelly became a princess, and the Supreme Court declared the Alabama Bus segregation laws illegal. Now, in 1969, Nixon has become president, Neil Armstrong has taken one small step for man, Woodstock has burst onto the scene, The Beatles recorded Abbey Road, the Manson murders happened, and Don Draper had a zen moment on a California mountaintop.